One lovely summer day the main character of the performance goes to the beach to swim. Romance, passion, detective and a lot of sparkling humor performed by famous Russian actors - people's artist of Russia Semyon Strugachev, honored artist of Russia Andrey Fedortsov, the brilliant singer Evelina Bledans. 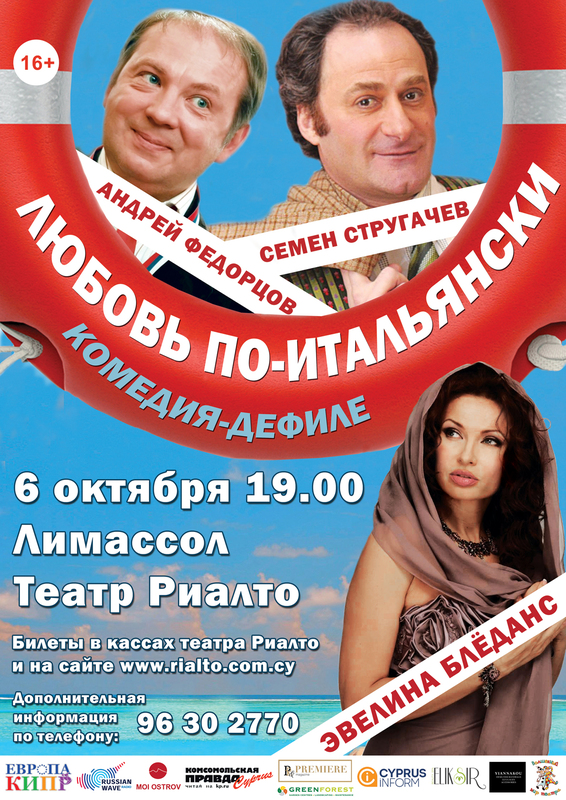 The play is winner of category special prize of the jury of the annual international theatre festival "Amur autumn".